Buy at the Factory & Save! If you think that because you have a smaller patio, you can no longer have an awesome one. Let us tell you right now that having a small patio does not have to stop you from designing your outdoor living space and making it as cozy and as beautiful as you’d like it to be! When arranging your outdoor furniture, you should put a little additional thinking into how you can do it. What do we mean exactly? Let’s say, if you have limited space, there are some aspects that you can compromise in order to get other benefits. For instance, you can go for a smaller coffee table so that you can fit in more seating options. 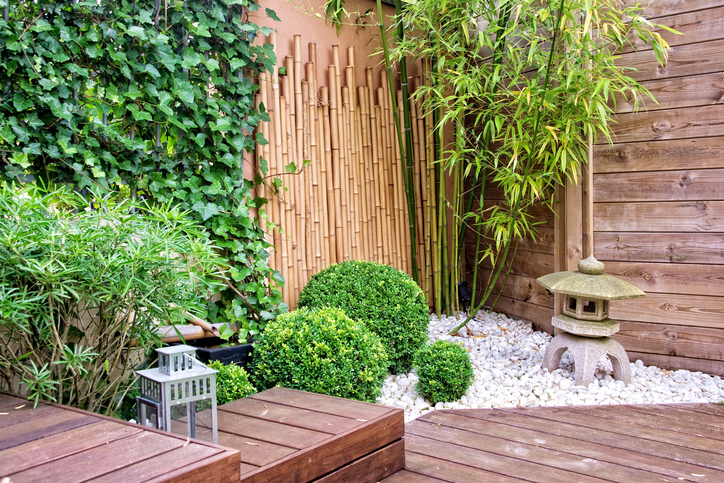 Plants are a great tool when decorating your outdoor living space. Not only do they give beautiful décor, but they also make your space a refreshing and comfortable place to be! If your patio is smaller than you’d like, you might probably think that you do not have enough room for large floor plants. Don’t let this discourage you! There are still other places you can put your plants on instead. For example, you can go for plants that you can hang and place them on railings. Your windowsill is also a great place to hang your plants from. Small plants can also be placed in the corners or on your outdoor tables. Your floor is the one thing that you can ALWAYS decorate. If you decorate it accordingly, your floor can surely brighten up the rest of your patio. There is a wide array of wood and stone floor designs that you can choose from. You may even install a patio rug to make your outdoor living space even cozier and more appealing! Using the right colours can also help in spicing up your outdoor living space – no matter how big or small it is! Always keep this in mind: there are hundreds of ways to make even the smallest of patios a beautiful place to be. One great idea is installing new outdoor lights on the exterior walls of your home. Mirrors or picture frames are also great when decorating your patio. One other important thing you should consider is investing in high-quality outdoor furniture. Doing so will definitely give your outdoor living space a more comfortable and appealing look. To check out our available high-quality outdoor furniture, do not forget to visit our website today or go to one of our showrooms. We hope to see you there! Enter your email address to get the latest outdoor furniture news. Sign up today and receive early notice on new promotions and deals!